Love seasonal homegrown vegetables? 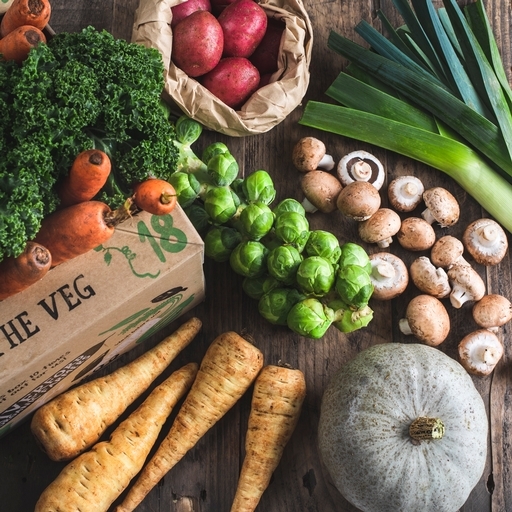 Our 100% UK organic veg box showcases British seasonal veg right at its peak. From freshly picked beans and greens in summer, to the sweetcorn and squash of autumn through to earthy roots and brassicas in winter, this box is packed with a changing selection of 8 homegrown veg. It’s like having your own allotment, without the digging. The box runs until the ‘hungry gap’ of May and June, when there is very little homegrown veg for harvesting, and starts again in July.